I think I was prepared to receive a new book of poetry that deals with mythological and heavenly creatures through a visit to my friend, Betty Leblanc, yesterday. When we visit, we often sit on a sun porch filled with objects of art that include gnomes, fairies, and otherworld creatures, and I always feel as though I'm entering a cosmic realm that lifts me out of any doldrums I might have experienced before I crossed Betty's threshold. So I wasn't surprised when I came home yesterday and found a form of "cosmic writing" contained in a new book of poetry published by my friends and editors Gary Entsminger and Susan Elliott of Pinyon Publishing in Montrose, Colorado. 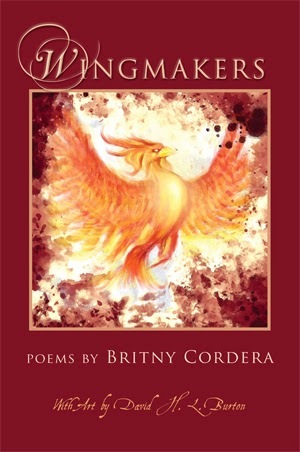 In the dedication to Wingmakers, poet Britny Cordera salutes Euterpe, the muse of lyrical poetry, and her imaginative poems will fascinate readers who enjoy Greek mythology, particularly myths symbolized by Urania, the muse of astronomy whom Christian followers often associate with the Holy Spirit. Greek mythological creatures are also illuminated by the illustrations of David H. L.Burton, a student of graphic arts and digital illustration who works in New York City. The lead poem in Wingmakers, "Urania The Stargazer," sets the tone for this cosmic writing with the opening lines:"With dewish wand, I point/to the unborn words of wind-/driven ballerinas./I knew their stories before/my star-dotted lyre gave flight/to the fledged songbirds and carrions..." Readers feel that they're about to enter a world of heavenly heights typified by such poets as John Milton, who is said to have invoked the muse Urania for the writing of Paradise Lost, although he adds the caveat that it is the meaning and not the name he called upon to inspire him. I was drawn to the poem about one of the creatures of the air—the butterfly—in which Cordera captures a "Butterfly's Nightmare." She alludes to the frailty of human existence through the butterfly's eyes, cautioning "...The dew/should/have told/you to tend/your weak laurels,/but now your satin arms cannot/carry you through salt-/less sky...You/learned/that M-/shaped insects,/buzzing in the brain,/live two moons before they live on/in memories." Cordera's descriptions of plants and creatures combine earthbound lines with lofty lyrics that raise thought to the heights attained by Greek poets—even the lowly tumbleweed gets graceful press in "Tumbleweed," a poem in the section entitled "Southern Skies." As I once lived in Electra, Texas and viewed the action of many of these dismal-looking plants tumbling about, these lines by Cordera evoked strong memories of the west Texas plains: "Wind feeds your fate—/you cling to unclipped/wings and hurried feet/who claim home/to the many-faced moon,/for she knows/no winter--knows no/solitary among vocal stars..."
In the final section of Wingmakers, Cordera narrates the voice of owls, doves, dragons, birds that "in the seraphic forests guarding spoken word—/[are]written only on palms,/planets, and pupils of your ancient,/doubled ladders. They rest/upon shoulders of old cosmogony./This is your peephole/to the map/of constellations." She connects birds with varying cultures—those of Ancient Greece, the North American Indian, Aztec, and others, attributing their characteristics to the religion and culture; e.g., "Pavo the Peacock" who is described as having a "cape of blue eyes to see greater knowledge" and who, in Christianity, symbolizes all-seeing and rebirth. "As a mirror of Phoenix, you also represented resurrection, renewal, and immortality, for you gained new and more beautiful feathers every year. You guard divine secrets as heaven's vault." I was also pleased to see that one of my favorite birds, the crow, or "Corvus the Raven," was praised as being "wiser than the old owl, you, Raven, hold the heaviest burdens and laurels upon your fragile wing, of any creature with beak and feathers." Cordera also refers to this bird as "the thief of light" who dropped the fragile box given to him by his grandfather and made the light break into fragments, which gave rise to an era of stars, moon, and the sun. This volume of poetry, a lyrical recreation of the cosmos in celestial and earthly form, will delight those who appreciate the heights to which Urania can lift human thought and spirit when invoked by an author who understands the mythology of ancient times and the constellations of the heavens. Fantastical poetry and art in eighty-seven pages of "wingmaking." Britny Cordera is a student of creative writing and religion at the University of Nebraska in Omaha. She has published in 13th Floor literary magazine and the international publication Forget Me Not. She also writes impromptu poems on a typewriter while sitting in Omaha's Old Market district and is known as the "Old Market Poet." Available at Pinyon Publishing, 23847 V66 Trail, Montrose, Colorado 81403. In the middle of the coldest winter I've experienced in New Iberia, Louisiana in many years, I'm heartened at the sight of the lone camellia tree growing in my backyard. My godfather planted the infant shrub at least twenty years ago, and regardless of sleet, snow, hard rains, and benign (?) neglect on my part, this beautiful plant has flourished. At Sewanee, Tennessee in my second home, we know spring is on its way when we see yellow daffodils breaking through the snow, but here in Louisiana the camellias and lovely Japanese magnolia trees announce that we're on the brink of a season of color and light. While I admire the flowering camellia for its beauty, I discovered only this year that the Camellia sinensis, or tea plant, is important because tea is made from its leaves. Also, in Japan, tea drinkers sip tea made from C. sasanqua leaves, while in southern China people use camellia tea oil for cooking. 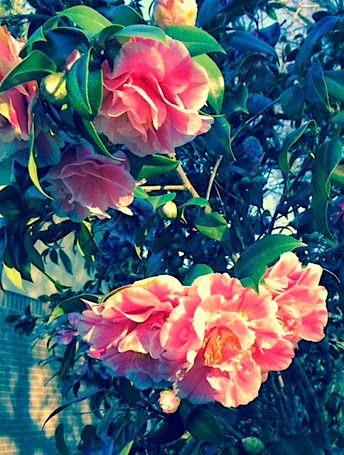 Here in south Louisiana, one of the most notable growers of delicate camellias was J. Lyle Bayless, Jr. (now deceased), an entrepreneur from Kentucky who, as a child staying at a plantation home in Natchez, Mississippi, saw a red camellia growing in the yard of the old home and became enchanted with the flower. Later, when he accompanied his father on a trip to Avery Island, he watched E.A. McIlhenny (of Tabasco fame) demonstrate the art of grafting camellias. 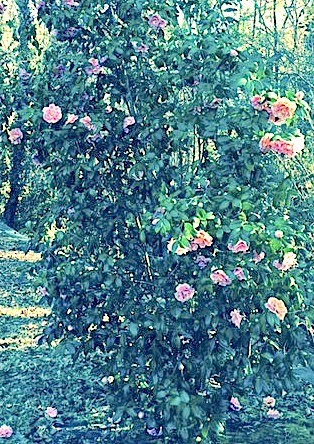 Bayless also became fascinated with the "Jeanerette Pink" camellia growing in the yard of the Joseph Jefferson mansion on Jefferson Island. In the middle of a winter similar to the one we're experiencing, he saw the pink blossom of this tree die, then return to life two weeks later. This "resurrection" convinced him that he should plant a garden filled with camellias. Bayless owned the site now known as Rip Van Winkle Gardens and in 1952 cleared the land around the old Jefferson House and planted a garden with numerous camellia plants. In 1965, many of his prize camellias, along with azaleas and other plantings, were killed due to salt dust from the mines on the island stirred up by a hurricane. In 1966, Bayless employed Geoffrey Wakefield, an English horticulturist, to design Rip Van Winkle Gardens and for three years, Wakefield put in large numbers of camellia plants. During Bayless's lifetime, he exhibited his camellias and won more than 1,000 prize ribbons at shows held in the southern states. He also hybridized many camellias, one of which he named "Elizabeth" after a relative. Although the Lake Peigneur salt mine disaster destroyed much of Bayless's gardens in 1980, horticulturist Mike Richard (and now owner of Rip Van Winkle Gardens) orchestrated the replanting of the gardens. Today, magnolias, azaleas, and Bayless's beloved camellias can be found along garden trails in Rip Van Winkle Gardens. Avery Island, another one of the five islands near New Iberia, also has a plethora of camellias in its Jungle Gardens, and numerous yards throughout New Iberia are filled with the flowers of these early blooming trees. I enjoy filling bowls with the pink blossoms that my struggling tree (whose variety name I don't know) produces, and I've named it "Spring Festival" after x williamsii, cuspidata, a hybrid that gained the Royal Horticultural Society's Award of Garden Merit. Although this isn't the plant's real name, it should be because it has survived the neglect of its owner and continues to remind us that the festival of spring is just around the corner. "No, serendipity is not an exotic dancer from Egypt...or a new kind of turnip greens either," Charlie Price told students in an Agricultural Journalism course I once scheduled. He explained that in their travels, the three Princes of Serendip possessed a great facility for discovering, by chance, or sagacity, valuable things for which they weren't looking. When they stumbled across something worthwhile, they always recognized it and wrote about it. When we made a second trip to Lake Arthur, Louisiana this week, we discovered two notable "serendips" worthy of blogging. 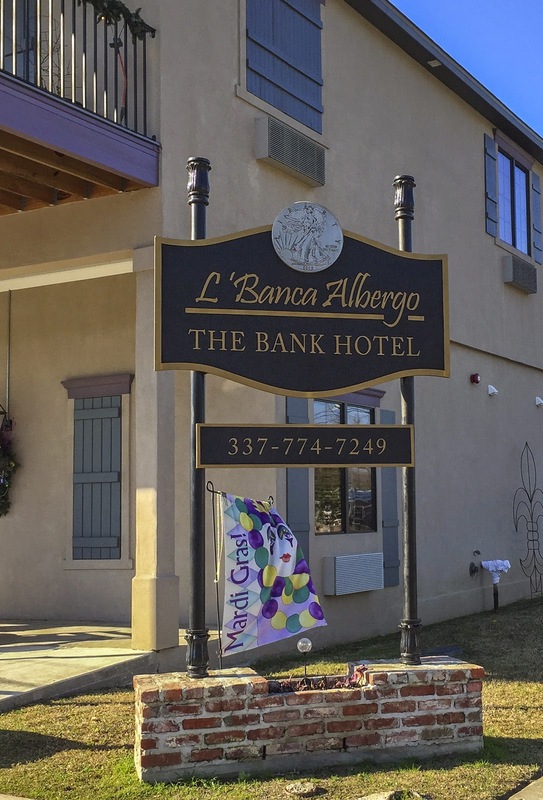 The first serendip, L'Banca Albergo, (The Bank Hotel), is actually a restored bank building within walking distance of the lake and park. An eight-suite hotel patterned after Old New Orleans architecture, The Bank Hotel stands in sharp contrast to other buildings on the avenue, many of which have been boarded up or windows blackened. The hotel boasts a wine cellar in its vault and a second-story balcony reminiscent of the French Quarter. The eight suites are spacious and well appointed, and the entire building is often rented to families that enjoy reunions with their relatives that they call "Love-Ins." Lake Arthur, now a depressed village, was once a charming lakeside resort in the late 19th and early 20th century. Another hotel, The Live Oak Hotel, thrived and welcomed notable U.S. visitors until 1922 when it became the famous Lake Arthur Hunting Club, which no longer exists. Before Franklin Roosevelt was stricken with polio, he visited Lake Arthur during hunting season, and Dorothy Dix was another famous visitor to the lakeside town. Actually, early residents in the area settled at Lakeside, across the lake to the south, but when freezes killed the settlers' small crops and orchards, they moved to the north side of the lake, and the village of Lake Arthur began to develop, according to Kathy Lacombe-Tell. By the time, my great-grandfather Marquart moved to the area, railroads and other commercial projects had come to Lake Arthur, and his land company prospered until the onset of the Great Depression. In addition to The Bank Hotel, the town boasts The Regatta, a restaurant touted for its seafood dishes and lakeside ambience. It was built on the site of the old Wave Restaurant that was destroyed by Hurricane Audrey in 1957. As a teen-ager, I remember dining at the Wave before its demise, and I've included a photograph taken of a painting of the old restaurant now hanging in The Regatta. crappie, and catfish abound in Lake Arthur, and it's still a fisherman's paradise. 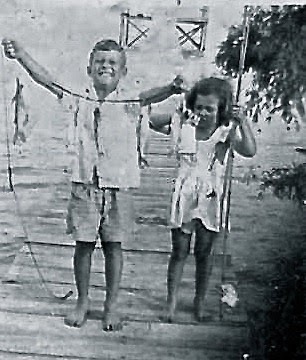 Although I was only five at the time of the Flood of 1940, I remember visiting my grandparents and seeing houseboats submerged in lake waters. In later years, I read that during the storm of 1940, within twenty-four hours, sixteen inches of rain had fallen in Lake Arthur and thirteen oil derricks were blown down in Cameron. I have no idea why we were visiting the area during such a storm. As a postscript to floods that often inundate the Gulf Coast area, Bobby Palermo, owner of The Bank Hotel, says the old bank building has never flooded. 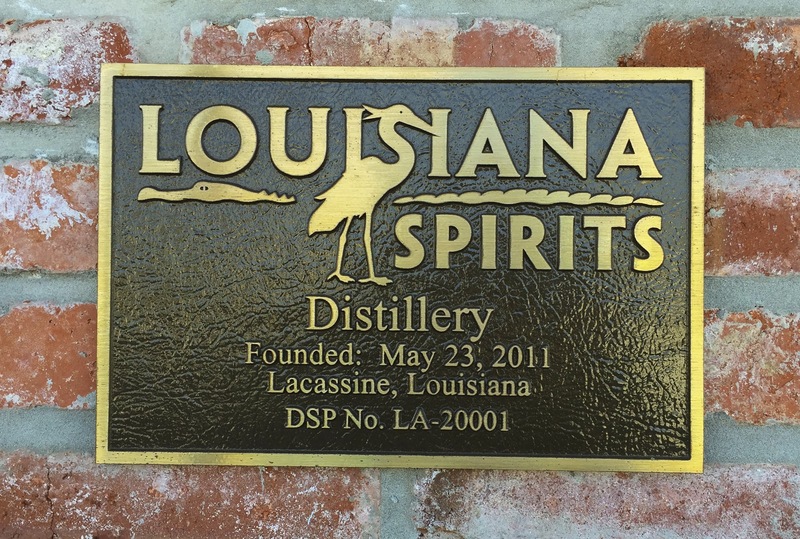 We found the second serendip near Lacassine where a large rum distilling operation, Bayou Rum Company, has been built on twenty-two acres. I'm not a tippler of rum, but I was amazed to see this operation that has utilized sugar and molasses from M.A. Patout and Sons Sugar Mill of New Iberia. Trey Litel, his brother Tim, and business partner Skip Cortese opened the distillery in 2013, and the $12 million investment has burgeoned into an industry that serves Alabama, Florida, Mississippi, Texas and Canada. The state-of-the-art facility also utilizes another Louisiana product—satsumas—in the production of a liqueur. 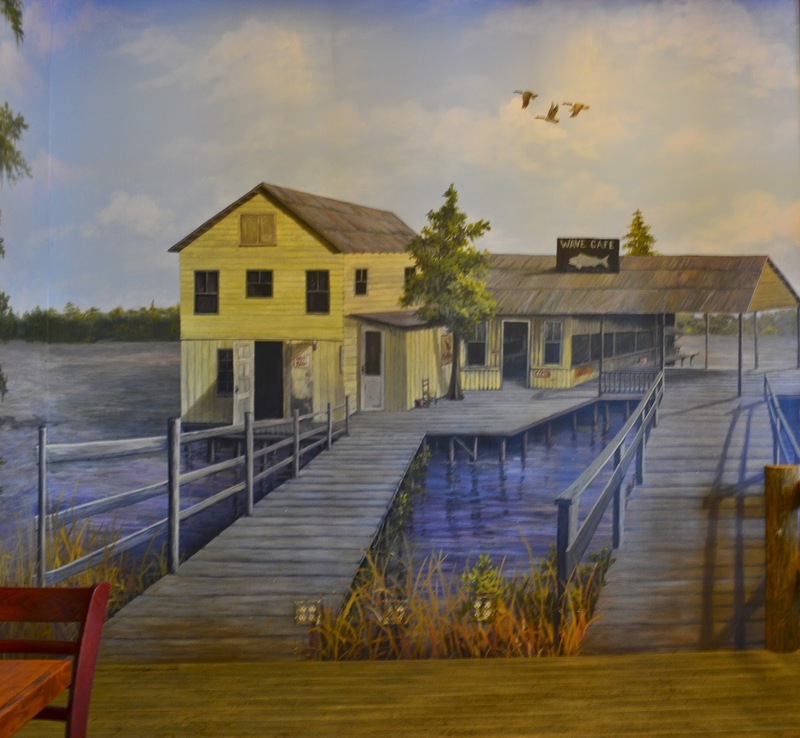 Although the two sites I've mentioned weren't the objectives of my mission to Lake Arthur, they are landmarks that reflect some courageous entrepeneurship taking place in Jeff Davis parish and offer interesting serendips for travelers to the area. Wanderlust strikes me when the first rays of sunlight pierce gray winter days we've been experiencing, and I'm soon off exploring sites of interest close to my home base of New Iberia, Louisiana. Jeanerette, a part of Iberia Parish, is only ten miles down the road, and yesterday we decided to meander down the Old Jeanerette Highway. Our plans included lunch at a new restaurant we had heard about while talking at the table of The Fortnightly Literary Club—a restaurant in a restored building on Cooper Street in Jeanerette. We passed several historic sites set back from the Old Jeanerette Road—private residences whose interiors I've always been curious to see but have never entered. To name a few: Alice Plantation, a home floated down the Bayou Teche from Baldwin to its present site by a descendant of Agricole Fuselier de Claire who first built the old home; and Bayside Plantation, which is the Roane Home built in 1850 by Francis Richardson, a sugar plantation owner who helped establish the Louisiana School of the Blind. Sugarcane profits built so many of the old plantations in the area when the City of Jeanerette was at its zenith, and the cypress lumber industry also played a part in boosting the economy of the town. A bit of history trivia about Jeanerette: When my friend, Dr. Kennell P. Brown, who formerly lived in Jeanerette, was alive, he gave me a copy of the genealogical work he had done on Nicholas Provost, Brown's ancestor who was one of the first and largest landowners of the area around Jeanerette. Provost owned approximately 3000 acres of land in what was then St Mary Parish but what is now regarded as Iberia Parish. The land in the succession included cultivated land and did not take into consideration the marais (swamp) which was described as "worth nothing and we have found in the whole two tracts only 1788 acres of land worth anything..." The entire town of Jeanerette lay within the property once owned by Nicholas Provost, with a lot of extra land to spare, and at one time there was a possibility of calling the town Provostville, according to Record of the Descendants of Nicholas Provost by Dr. Brown. On the ride through town, we passed LeJeune's Bakery (1884) where I often stopped to buy French bread for my godfather from Virginia when he visited. If he came along for the ride, he'd say, "We have to save this for our dinner guests," but he couldn't resist the smell of freshly-baked bread and would tear off the wrapper and begin eating one of the delicious loaves before we passed out of the city limits. LeJeune's has the distinction of being on the National Register of Historic Places and is managed by the fifth generation of the LeJeune family who have used the same recipe for the bread since 1884. We passed another historic site, the old Moresi Foundry (1890), while searching for Cooper Street. The Moresi Foundry was built of old bricks from Swiss-born Antoine Moresi's brickyard and still manufactures machinery for sugar mills in the area. Another Moresi property on Main Street, the Albert Moresi home, is a Victorian cottage, circa 1898, built of cypress weatherboard, a material that was prevalent during the lumber boom in Jeanerette. After traveling the length of the town, we finally resorted to using the navigation system in the car to locate the Cooper Street Coffee Restaurant. What a find! 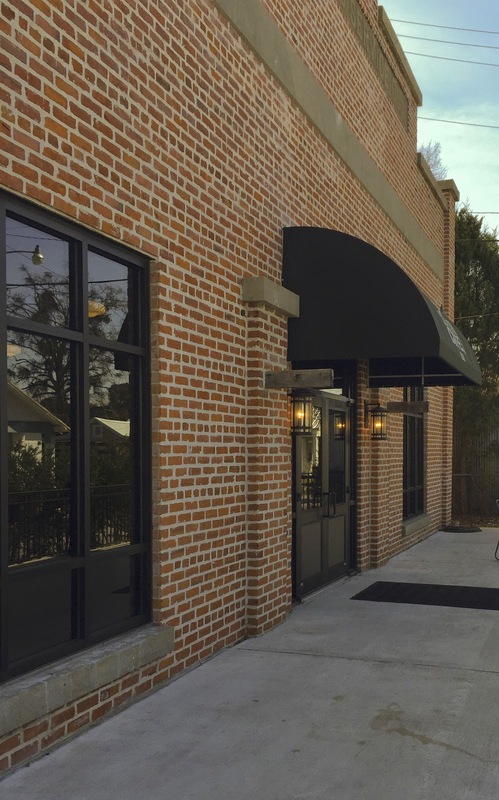 The restaurant is housed in the old Louisiana Public Service Company building constructed in 1925, a masonry structure that has been totally restored by Anatole and Jennifer Larroque. When we arrived, Jennifer told us that she only prepared lunch the first few days of the week and breakfast and coffee were the specialties of the cafe, but she went into the kitchen and heated up homemade vegetable soup made with homegrown carrots and turnips for us. I couldn't resist one of her pastries, a blueberry and nut bar that had been baked for breakfast patrons. The Larroques have installed various types of brand-new coffee machines that produce coffee equal to Starbucks, and we sat at tables that Torger Brown, a local cabinet and furniture maker, had made of 100-year old cypress from the area. Long windows let in light throughout the room, giving the huge room a welcoming ambience. 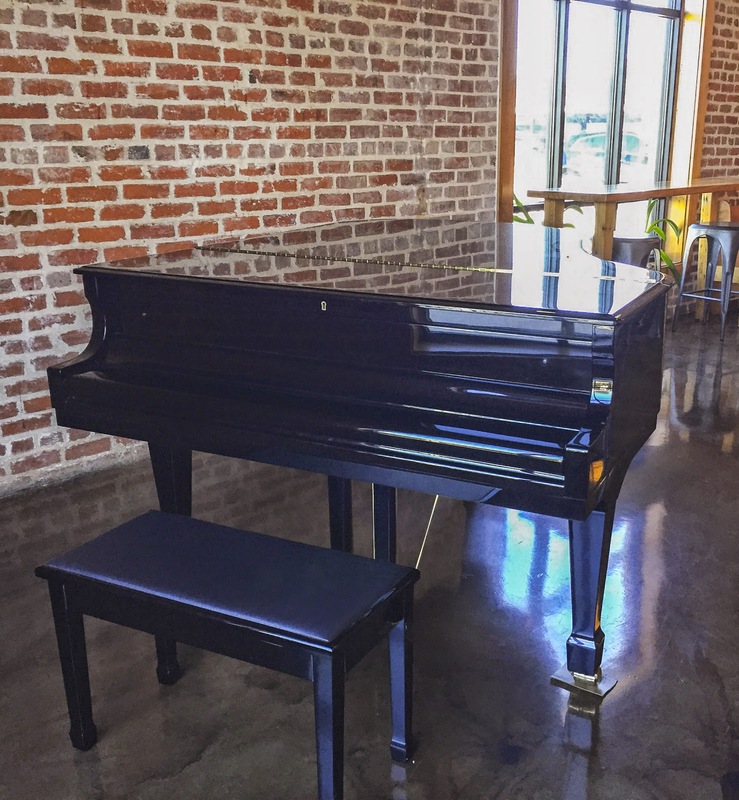 A grand piano occupies space in one corner of the room, and Jennifer told us that a local woman plays for early breakfast patrons on Sunday mornings. Anatole, who plays a trumpet, sometimes accompanies the pianist. I also learned that the Larroque's son is an accomplished oboe player who has been a participant in the Sewanee Music Festival held on the University of the South campus where I live part of the year. 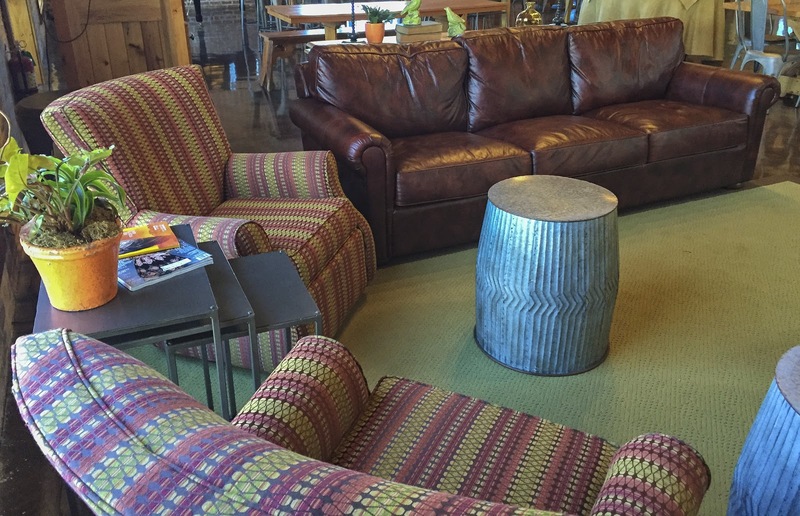 In another corner of the spacious room, grouped leather couches and striped fabric chairs provide a nook for readers and writers, Fortnightly clubs, and other literary groups, but special lunches for these groups are arranged only by appointment. When we left the restaurant, the sun still shone in this corner of Teche country, and we knew that we'd return to Cooper Street Coffee Restaurant and Jeanerette soon, realizing that we don't have to board a plane or drive across country when we can meander only ten miles down the road to enjoy another rich cultural experience. "Counterpoint: Figurative—any offsetting point or element, contrast." Such is the dictionary definition of the word "counterpoint." Although the painting that arrived last week from Big Bear City, California, where my deceased brother's wife lives, was never named, I once entitled it "Counterpoint." And when I put a photograph of this painting on the cover of one of my books of poetry, I entitled the book Counterpoint. The title seemed to symbolize my brother's life, for he was always becoming some human offsetting point, a contrast to any of the social norms to which a few of our family members adapted. That offsetting was the difference that made his art, and he guarded the inner differences well. 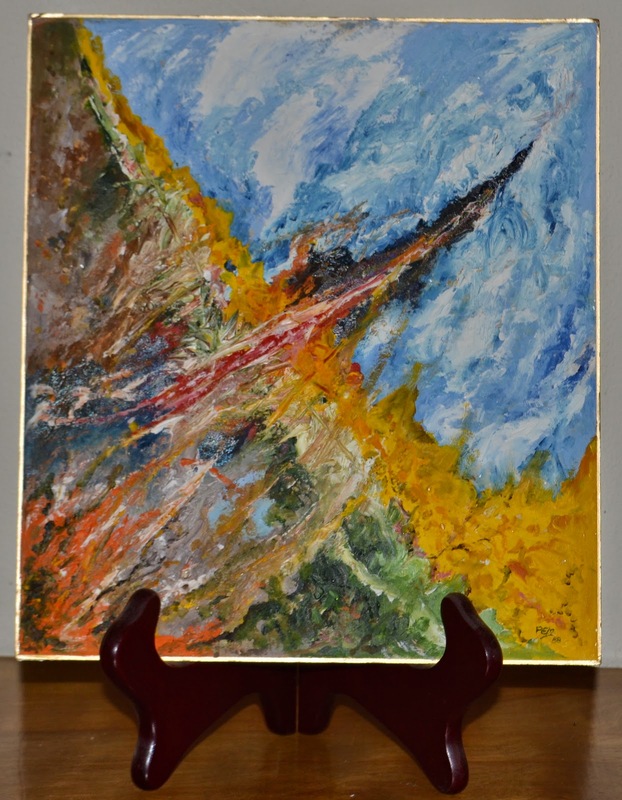 The abstract painting delivered to me last week, only a month after his death, looked more like the rendering of an object in flight I couldn't name, and I 'd say that the movement in it suggested absolute creative freedom. It's an interesting piece, this "Counterpoint," and I've placed it in the living room where I can look at it and remind myself that art is about freedom of expression, especially when I write poetry. One of the poems in Counterpoint suggests that artists sometimes reach a point of resistance and desire more safety than freedom of expression. This poem was written in 1999 during a two-week trip to the Davis Mountains, which included visits to Marfa, Alpine, Fort Davis, Terlingua, and Big Bend National Park—visits that inspired ten minimalist poems and a section of eleven Texas haiku for Counterpoint. I tried to publish some of the poems in Desert Candle, a publication about life West of the Pecos, but the editors intimated they preferred work by bona fide Texans. (Well, I lived in El Paso for a period of one year, in Electra, Texas one year, and in Graham, Texas one year, and my oldest daughter was born in Wichita Falls, Texas, but none of those sojourns guaranteed Texas citizenship or publication in a West Texas journal). No uncertainty among barn swallows. and like me, safe in resistance. Anyway, the Counterpoint painting reminded me of Big Bend Country, sometimes called "The Last Frontier," where the air you breathe carries the scent of the vast ranching plains near Alpine, Texas. P.S. The Annual Cowboy Poetry Gathering is held in Alpine and is the oldest cowboy poetry gathering in Texas and the second oldest cowboy poetry gathering in the nation.